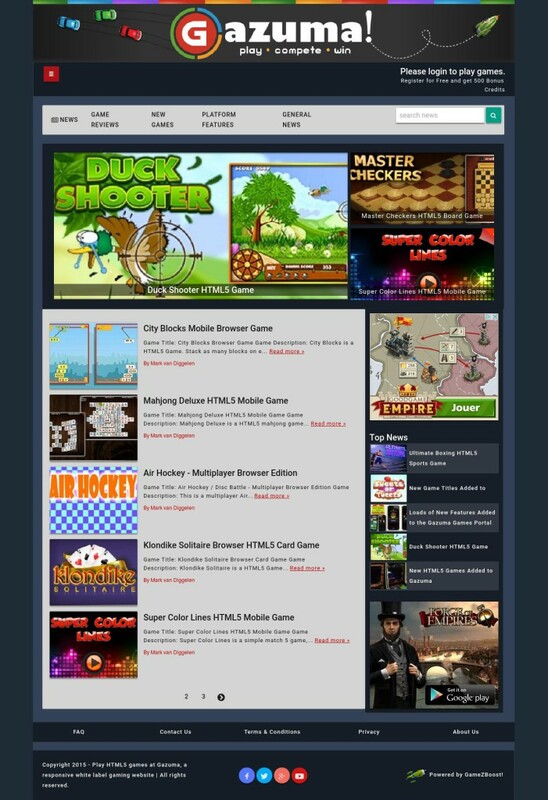 The GameZBoost team have just completed the development of a Gaming News Publishing CMS Platform, this allows publishers to offer a full featured news section to their games portal. 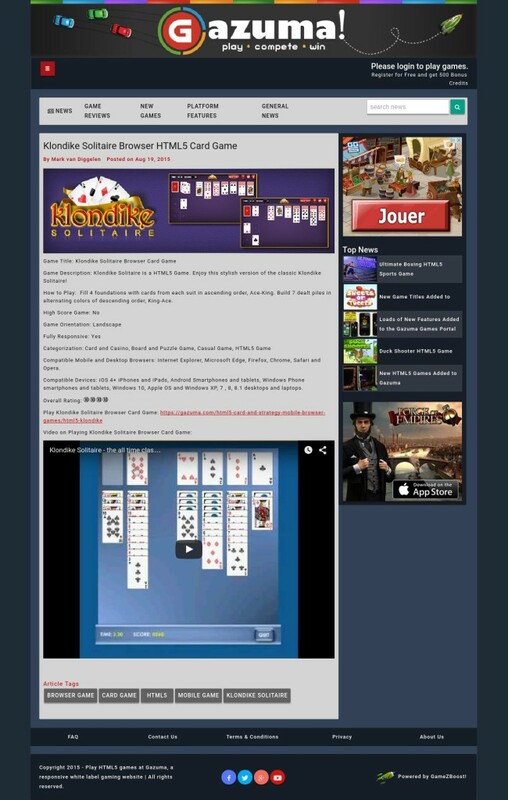 News Platform – Publish content based on industry events, site promotions, game reviews, etc. Content Types – Publish text based articles, embed images and video, highlight articles as video based content. Articles Pages – includes meta, custom url’s, header images, in-article images and video. Quick Links – Configure Quick Links to premium content, direct links to game downloadss and video content. Advertorials – manage and publish promotional advertorials. Comments – users able to Comment on News Articles and admin moderation of Comments. Comments can be ranked to feature Promotional Comments. Search – news content specific search. Top Stories – platform dynamically tracks top read stories and refreshes the articles. Content Promotion – Set Top 3 Articles to highlight in the Featured articles section. General news, articles and even Blog entries. Publishing game or product reviews, including video content. The solution can be deployed as either part of the games platform or as a standalone solution. Publishing of video’s and thus building a video publishing platform.